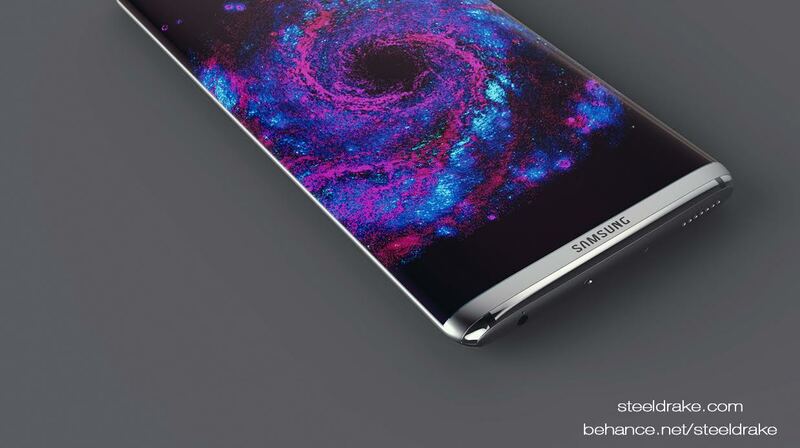 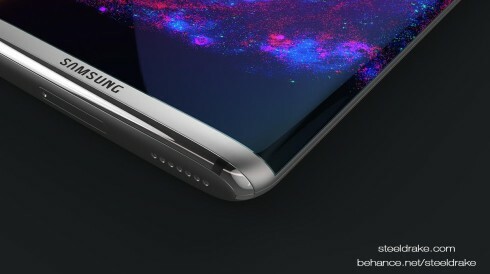 I can’t say I’m surprised to see people are thinking of the future Galaxy S, even further than the one coming this year. After all, judging by the leaks, the Galaxy S7 is more of a Galaxy S6s, am I right? 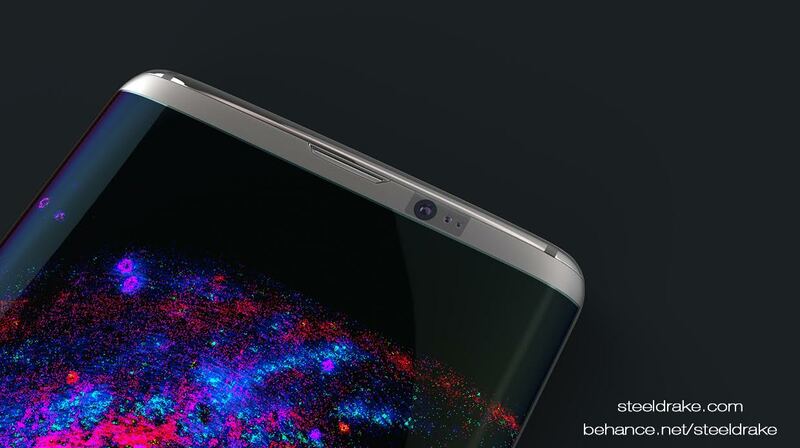 Well, designer Steel Drake has the Samsung Galaxy S8 figured out and below you can also check out a video of it. The video was published by Mesut G Designs and it depicts a 6.8 mm thick smartphone, that measures 141 mm in length and 72 mm in width. 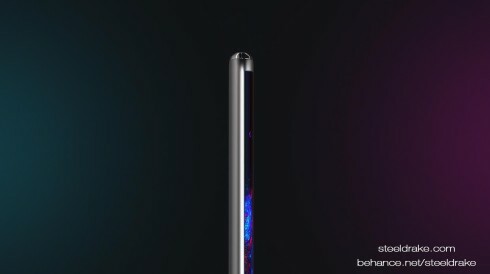 The handset has beautiful lines and finally manages to cut as much as possible out of the top side, usually wasted by companies such as LG and Apple let’s say. The earpiece is a work of art, making me think a bit about Vertu and the curved screen edges are quite discrete. 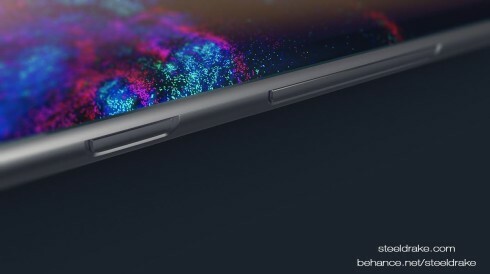 The SIM card slot is now at the bottom, together with 7 speaker holes and the audio jack and this area is also a bit curved and gets its own metal ring. It feels like the Galaxy S8 is curved both from back to front and from front to back, sort of like a big pill one takes for a headache, let’s say. 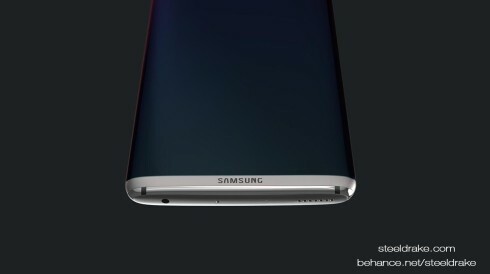 It’s not only the top part that’s received a serious cut, as the area below the screen is ridiculously narrow. 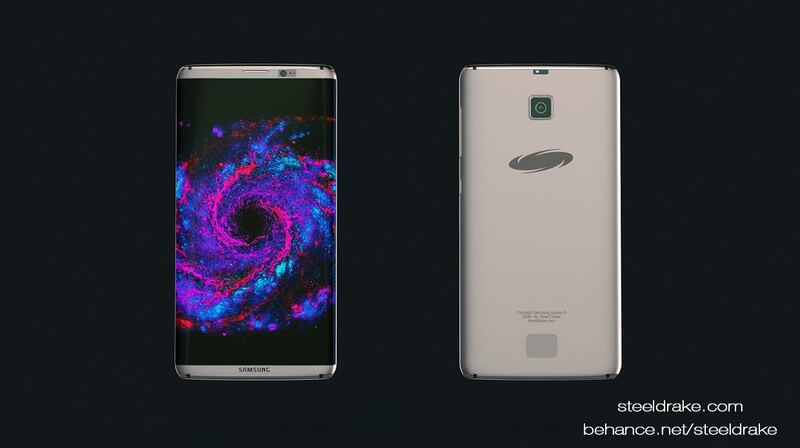 It even makes the Samsung logo a bit crammed into space. A new feature here is the projector above the back camera and you should be sure to also check out the box of this model, that looks fantastic and “space-y”, as Apple would have it.